Innovate UK is the UK’s Innovation Agency tasked with growing the UK economy through supporting innovation. The Innovate UK Family includes the Knowledge Transfer Network (KTN), Enterprise Europe Network (EEN) and the Catapult centres. The Innovate UK family helps companies to grow through developing innovation capacity, linking to expertise and access to funding. Together the family has and can provide expertise in: sectors, cross-cutting capabilities; commercialisation; internationalisation; access to funding and finance; and collaboration with the research and science base. There are over 50 people from these organisations within the North West providing access to our support and providing local, national and international connectivity. The Knowledge Transfer Network (KTN) is a UK wide innovation network. It helps businesses get the best out of creativity, ideas and the latest discoveries, supporting Innovate UK in growing the UK economy and improving people’s lives. KTN links new ideas and opportunities with expertise, markets and finance through it’s network of sector experts, businesses, researchers, funders, and investors. Innovate UK is part of UK Research and Innovation (UKRI) – the national body ensuring research and innovation flourishes in the UK. UKRI supports and connects researchers and innovators with customers, users and the public to deliver economic impact and social prosperity. You don’t have to do it on your own. 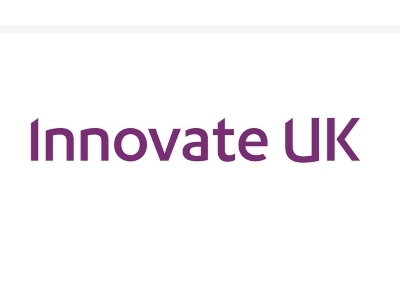 Make use of all the government provided support available from the Innovate UK Family. The UK strength in research and innovation is not limited by geography. Innovate UK and its family want to support growth and develop excellence in innovation throughout the UK. Lancashire is already an active contributor to the UK’s innovation landscape, particularly in manufacturing and a with significant presence in aerospace sector for example. Alongside growing digital capability it has the foundations and potential needed to be greater still. The Innovate UK Family has a UK-wide role and we are working with the Lancashire LEP and Business Growth Hub to ensure Lancashire businesses are able to access the best support for innovation on the local, national and international stage.